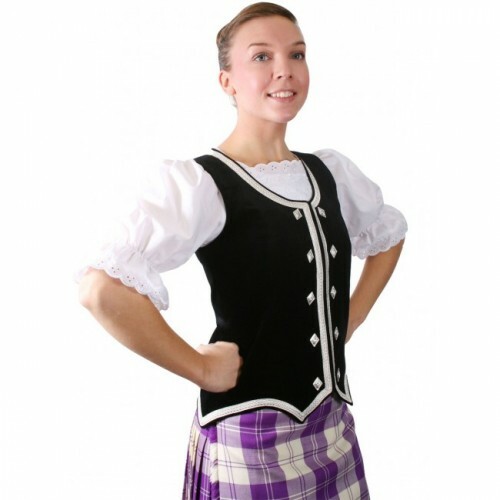 Highland Vest - up to 36"
Home Highland Dance Highland Vest - up to 36"
Made in Scotland, our Highland Waistcoats are tailored to the highest standard using only the best quality cotton velvet. Trimmed with silver braid and finished with silver thistle buttons. This waistcoat is finished with hook and eye fasteners, and is available in a range of velvet colours. Making time is normally 6-8 weeks. All Stock Sizes are fitted sizes (with no ease allowance). If you have any queries regarding the measurement process, or would like some additional information before placing your order, please e-mail us. *Please note that we cannot take responsibility for items that do not fit due to incorrect measurements.